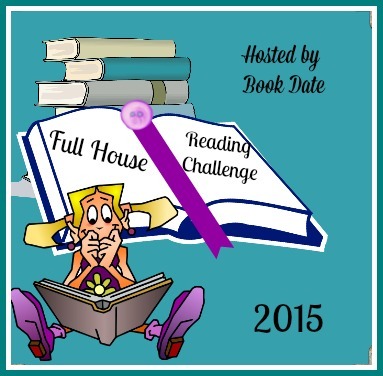 October – December link up for Full House Challenge. Into the last quarter of the year, can you believe it! Hope your challenge is going well. I still haven’t finished off mine, but not far to go. 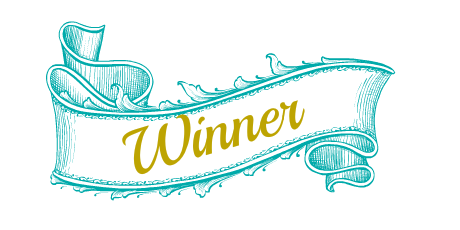 The winner for the third quarter : Jessica at Ramblings on Reading. Congratulations. Here is the link up for the last quarter. You will still be able to access the link up for the first, second and third quarters in the main challenge post in case you need to check what you have already linked. There is a $12 Amazon gift voucher or a book to that value from the Book Depository if you are in their free posting zone, for the third quarter. This link will close at the end of December. Reminder: There is now a link up Challenge Completed for those who have completed their card and remember to share it! This will close in early January. There is a $50 (U.S value) Amazon voucher or books to that amount from the Book Depository. Great that you have finished. You can still link to the completion post. Reviews aren't mandatory, just an added extra for those who like to link them and be in for extra prize. Go ahead and link your completion and then well and good if reviews are done but no problem if not. I hope there will be a new one in 2016! I really enjoyed!!! Claudia, if you would prefer a romance I can recommend Ainslie Paton books are set in Australia. or Rachael Johns. Zac and Mia by A J Betts is a great YA romance. Loved that too. Claudia and if you are looking for something extra special I'd totally recommend Now by Morris Gleitzman, it is middle grade but can easily be read by adults. It is part of a trilogy and deals with World War 2. This is the third one but you won't miss out in any huge way by reading Now alone as each one does stand alone. I so loved these books and Now is not a very long book – you'd read it in a day. Do read the others as well although they are set in Nth hemisphere. Claudia I do know we have differing reading tastes so I hesitate to recommend one. However one I haven't read but hear lots of good things about is The Forgotten Garden by Kate Morton and should be readily available in libraries. Other than that I suggest go to Listopia on Goodreads and search Australia, or New Zealand or Southern India or Sth Africa. Hope all that helps you and if not come back to me. Also you may want to play your change out card, as if you look on the original post for the challenge there is the opportunity to change out one with one of your own category. That's if you haven't already used it. I still need to find a book set in the Southern hemisphere, would you have any recommendations? Claudia, I know! The year has just flown. I know I won't finish all my challenges but will manage a good few of them. Thanks Sherrie, working on next years at the moment! I can't believe we are in the last quarter too! Wow! I hope I'm able to meet my challenges! I'm all done with this challenge. Have posted my Wrap Up and linked it. I really enjoyed this reading challenge. Had lots of fun finding all the books. Thanks for hosting this challenge. Hoping there will be one next year. Have a great day!